The Life Divine consists of volume 21 and 22 of the complete works of Sri Aurobindo. The Life Divine first appeared serially in the monthly review Arya between August 1914 and January 1919. Each instalment was written immediately before its publication. 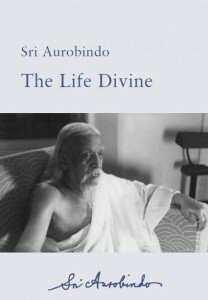 In 1939 and1940 Sri Aurobindo revised The Life Divine for book publication. The first volume of the revised version, consisting of the first twenty-seven chapters of the Arya text, along with a newly written twenty-eighth chapter, was published in November 1939. The revision of all but two of the Arya chapters was light. The second volume of the revised version was published in July 1940. Want to get a PDF copy of the said book or address in Pune to get this book. I would like to have a paperback format of the book Life Divine.